Dooply aims to bring the human touch back to media and marketing. With so many marketing companies focused on AI and automation, they have lost touch in human-centered media. Dooply wants to change this approach and re-introduce the human element that is missing. 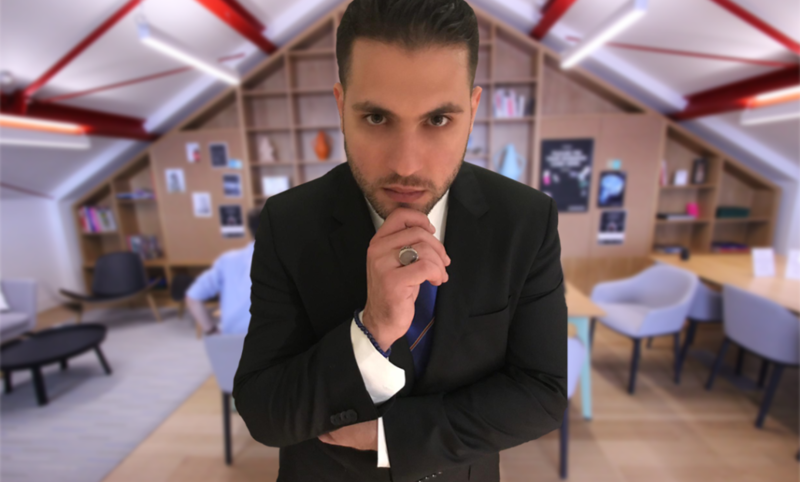 Company Founder and CEO Jad Mawlawi started Dooply in 2017. The serial entrepreneur has led an interesting business life that has taken him all over the world. After working in the gas and oil industry, Mawlawi decided to try his hand at media and marketing. It turns out he is a natural in the sector, and his ideas are empowering people and businesses. Mawlawi recently sat down with Totalprestige Magazine to explain Dooply and what clients can expect from the company. Jad, can you start off by telling us about Dooply and its approach to social media marketing? Dooply is a human-centric media and marketing company focusing on promoting humans rather than products or services. We believe that, in order to stand out in a highly competitive and oversaturated economy, one must focus mostly on building personal relationships with their audience. Today, just having a great product or service does not give you an edge, however, building authority and credibility with your audience can help you achieve a personal relationship that can potentially help you cultivate influence and accordingly, you can promote any product, service, or ideology. Currently, everyone in the business world is focused on automation, AI, and other technological advancements. This leaves the human element in business an undersaturated and potentially exploitable area for market players to take advantage of. Our approach to all kinds of media, in general, is based on building an authentic and legitimate cause that is easily endorsable by social media influencers and then leveraging the endorsements to reach a wider audience. The authenticity and legitimacy of your cause is probably the most important element in the overall campaign. Why is Dooply more focused on the human element rather than the product portion? It is more effective to promote a human’s persona rather than promoting an anonymous company logo. Exposing the human behind a product, service or ideology helps build more credibility between our clients and their audiences. It also gives the overall campaign a touch of authenticity. The fact is that if you have a product, service or ideology that you really believe is beneficial for your target audience, then you shouldn’t be afraid to put your persona at the forefront of the campaign. Social media influencers are all the rage these days, and a lot of people are now referring to themselves as such. Dooply doesn’t work with or hire social media influencers. Can you explain the company’s ideas behind this stance? There are all kinds of social media influencers with all kinds of niche audiences. To be classified as a social influencer, one must have a real influence on their niche audience. There are a lot of people who think of themselves as influencers when most of their followers are essentially fake accounts, either bots or paid human accounts. Social media influencers are like any other consumer, and they should be treated as such. They are humans, and they often are talented people with great qualities who presented their best side on social media and were able to develop an online audience. They are your brand’s advocates, and they are the vehicles to spread your message. This is why one must have a legitimate and endorsable cause at the heart of every campaign; to convince influencers to endorse your cause and mission. You must build long-term relationships with them, being genuine and honest here is hugely important as an influencer’s incentive is most of the time not monetary, but exposure and value transfer. Influencers cherish their relationship with their audiences, and therefore, if your cause can be complementary to the relationship with their audience, it will be more valuable than just money. How important will the ‘human element’ become in social media? The ‘human element’ is now essential in social media. In fact, Dooply’s existence and current business model is the product of this new social human movement. On an individual level, what would influence you most, a Google or Instagram ad or a recommendation from a fellow human? In general, there is an increased awareness towards a new form of humanism which is partially digital in its nature. Part of our belief system at Dooply is that humans tend to go back to their roots and marketing is mainly a business tool in response to human behaviour. Therefore, in such a tech-dominated economy, the marketing of the past is virtually the marketing of the future. Can you tell us about Dooply’s ideal clients, or should I ask, which clients would find Dooply ideal? Our clients range from entrepreneurs looking to establish themselves as experts in their fields to passionate individuals turning into social influencers. Yes, our job is to make you an expert and an influencer in your own niche. Clients with a vision and a legitimate message are often the best clients. Sometimes we help our clients define their vision and understand their unique value propositions. We tend to empower our clients first, give them the tools to present themselves in the best way possible and create a movement around their well-defined mission. If I were to condense it all into one sentence; our services include formulating a cause, attracting attention, and cultivating influence. What are the three main pillars of the company? The three pillars of our human-centric marketing model are branding, publicity, and influencer relationships management. This model acts as a whole package and each element in the model is essential for the success of the entire campaign. Jad, tell me about your past in the business world. You began your career when you were just a teenager. How has your career evolved? I have been through different business ventures from a young age — mostly traditional international trading. In 2011, I was introduced to the world of finance and portfolio management by a family friend who was a banker in one of the biggest banks in the MENA region. I was fascinated by portfolio management, economics and finance. With the help of a team of experts, I built a portfolio of financial assets that grew to a multi-million dollar portfolio. In 2013, I moved to the UK to continue my education and joined Technosoft, a software company focusing on oil and gas applications. In 2017, I met a person who would dramatically change my approach to business and would eventually become my business partner. Together we initiated Dooply which has a story of its own. Before starting Dooply, you worked in the MENA region for Technosoft. What influenced you to make the jump to starting your own marketing firm? My business partner. I realized the value of a relatively newborn industry, influencer marketing. I realized that there is a lot of oversaturation in the market and traditional marketers were not performing as well. I thought that this industry needs unconventional creative minds, and this is when Dooply came into existence. You were born in Cyprus, raised in Beirut, and now live in Brighton. You have come a long way. How has your upbringing shaped you as a businessman? Being exposed to multiple cultures and peoples from different backgrounds has helped me develop a deep understanding of the differences and similarities that we have as humans. In the business world, it is essential to understand how different cultures structure different mindsets and therefore, a different approach to business. I believe in a globalized world where we can all be integrated under a unified banner with a purpose to serve our species and others. My upbringing has made me aware that today, in the 21st century, we must no longer segment ourselves into factions. Instead, we need to integrate to bring collective prosperity as proven by history. I believe we still need to build bridges between cultures, emphasize the similarities, and appreciate the differences. Can you explain some of the marketing trends that are exciting you and will be the future of the industry? I think marketing as we know it will change entirely in the future. Traditionally, marketing followed development. So, you develop an end product, formulate a marketing strategy, implement it, and then grow. Today, however, the better approach is totally the opposite of what we have been taught. Marketing should precede development. So, you first market your idea, see your audience’s reaction and behavior towards your not-yet-built product, collect data, analyze your prospect’s behavior and accordingly develop something that will fulfil your audience’s needs. This is also called the “lean” approach as we know it. In the future, however, with all the radical changes that we will see coming with AI and machine learning applications, marketing will become more tailored to each consumer. Imagine that you have a robot companion who understands you better than anyone, even better than you understand yourself. This robot companion knows exactly what it should recommend to you as it knows you best. It feeds on the perpetually generated data surrounding all aspects of your life. It is similar to today’s Apple’s Siri and Amazon’s Alexa except that it has access to all kinds of unlimited data around all aspects of your life. This excites me a lot, however, it also scares me. Jad, what is a day in your life like? A typical day in my life starts with a gratitude ritual where I think about the positives in my life followed by a five-minute meditation practice to get my mind together. As an entrepreneur, you need to find a balance between productivity, creativity, and resting times. I believe that our lives as humans are governed by the sun. When the sun is up, it is time for productivity, logical thinking, and rational approach to business. When the sun is down and it is dark, it is time for creativity, imagination and rest. After all, creativity never comes under stress. Creativity and rest come and go together. So, as a full-time entrepreneur, my life is designed around my business, and my daily activities dictate the success or failure of my venture.